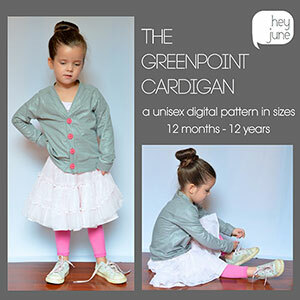 The Greenpoint Cardigan is a fun, unisex, beginner-friendly sewing pattern for knit fabrics. 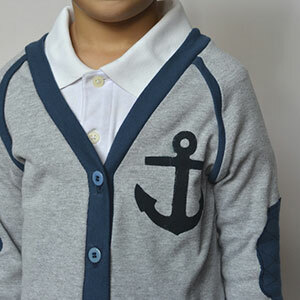 It is infinitely customizable using different fabrics, trims, buttons, and fabric embellishments. Suggested fabrics are light to heavy weight knits such as ponte de roma, cotton jersey, cotton lycra, rib knit, sweatshirt or hacci. Add 1/2 yard to match patterns.